If you aren’t completely satisfied with our service, contact us and we’ll offer you an extended or featured display, posting on our social networks, or a complete refund. Founded in September 2007, HotellerieJobs is the first specialized job site dedicated to the tourism industry in Quebec. 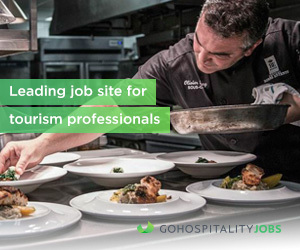 Through our platform, employers can reach hospitality, food services and tourism professionals from all around the world. More than 6 000 job offers are published on our board per year and more than 96 000 curriculum vitæ have been sent to employers. Over 150 000 applicants visit our platform every month. Ever-free for applicants, our goal is to help the best professionals in the tourism industry connect together. Our numerous clients include: Delta Hotels, Hilton, Les Hôtels Villegia, Le Massif, Marriott Hotels & Resort, Fairmont Hotels & Resort, Groupe Germain, La Tanière, Air Transat, Casino de Montréal, Château Bonne Entente, Château Laurier, SEPAQ, Four Points by Sheraton, Office du tourisme de Québec, Auberge Saint-Antoine, Village Vacances Valcartier… just a few of them! Our vision and engagement are still the same after 10 years of business: helping to connect the best talents with the best employers. Post job offers quickly and securely at any time. Reach thousands of students, graduates and qualified professionals from the hospitality, food services and tourism industry. Do as thousands of successful employers: find the talents by posting on HotellerieJobs. Simple, quick and easily done.